We sell a good number of replacement Bakelite parts, but it just isn’t economical for us to produce everything. 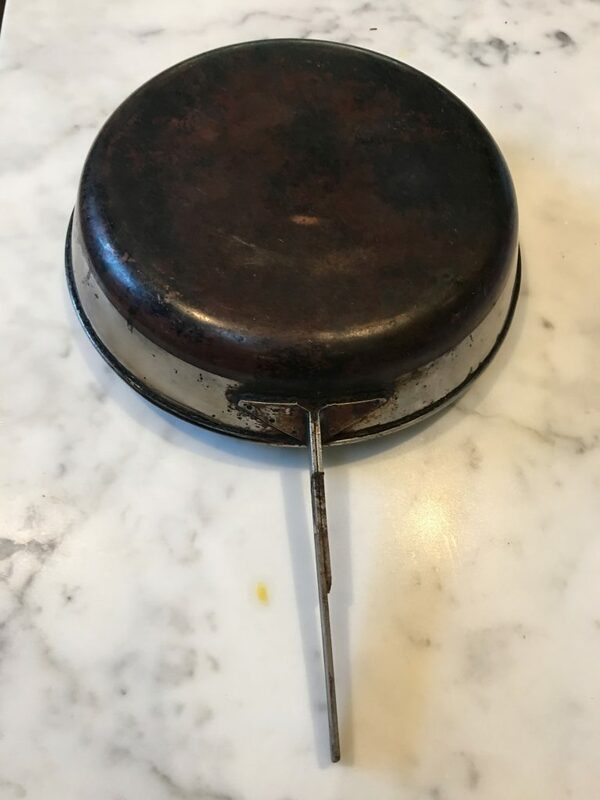 When replacement isn’t an option, you can try to restore the Bakelite part. Here is a good tutorial on an old Bakelite radio. In short, clean the piece, rub it thoroughly with 1000 grit steel wood, and then polish with Brasso. I’ve also heard that Simichrome polish works well and might have a little bit of chemical reaction with the Bakelite that helps the restoration. 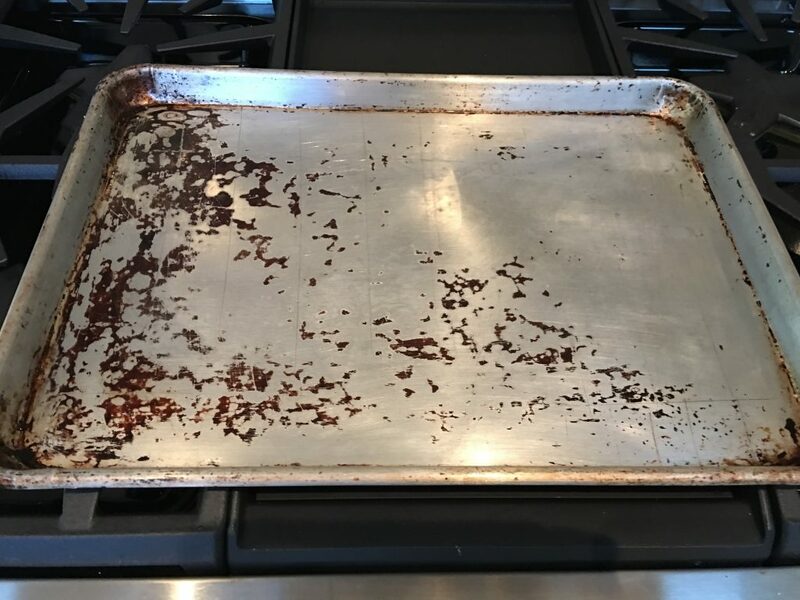 Prior to our providing new Bakelite parts, the only option we knew of restoring faded dishwasher-worn Bakelite to its original look was a complicated process of repeated sanding process with finer and finer sandpaper offered by one restorer. They came out looking decent but it was a labor intensive (and expensive) process. 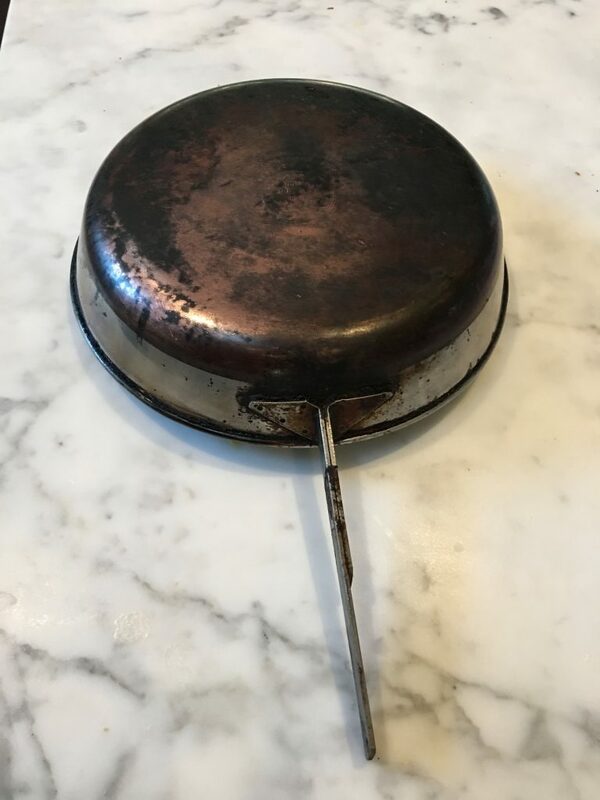 Availability of new handles made the a non-issue for many parts, but there are still some that we don’t produce, like the very early Revere Ware cookware handles. If fading (probably from repeated washing in a dish washer – see our test) is the issue, then we just came across something which might help. We recently came across a blog post that talks about restoring Revere Ware pots and pans. What you need to do with these is actually use Mineral oil and rub it into the handles. Let them sit for a while (mine sat for a day) and then wipe off any access oil. This will bring them back to looking good. There does appear to be considerable improvement, although you can easily tell the difference in the after photo between the original Bakelite shine on one handle, and the rest of them with mineral oil restoration. For parts that simply aren’t available anymore, it can probably make a difference. 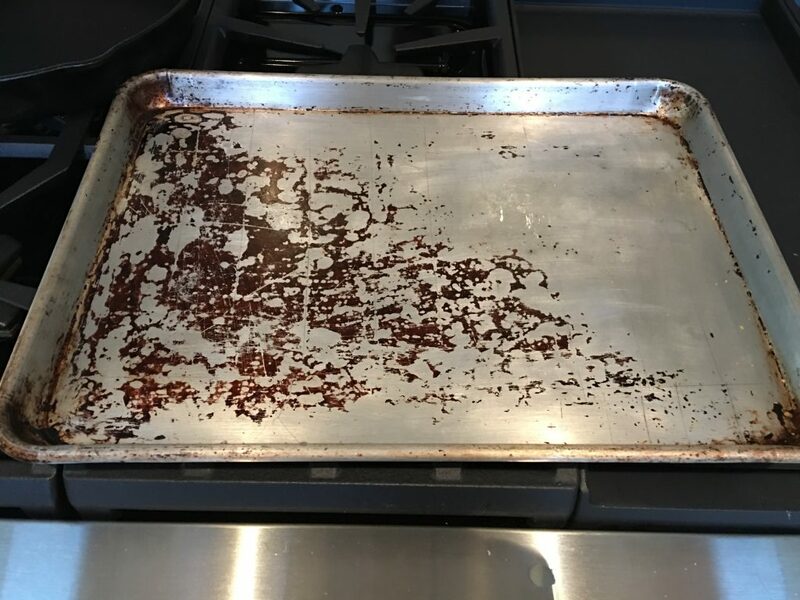 We recently came across this post with a neat trick on removing hard water stains from stainless steel. Usually, we just use a green Scotch-Brite pad to scrub it out. 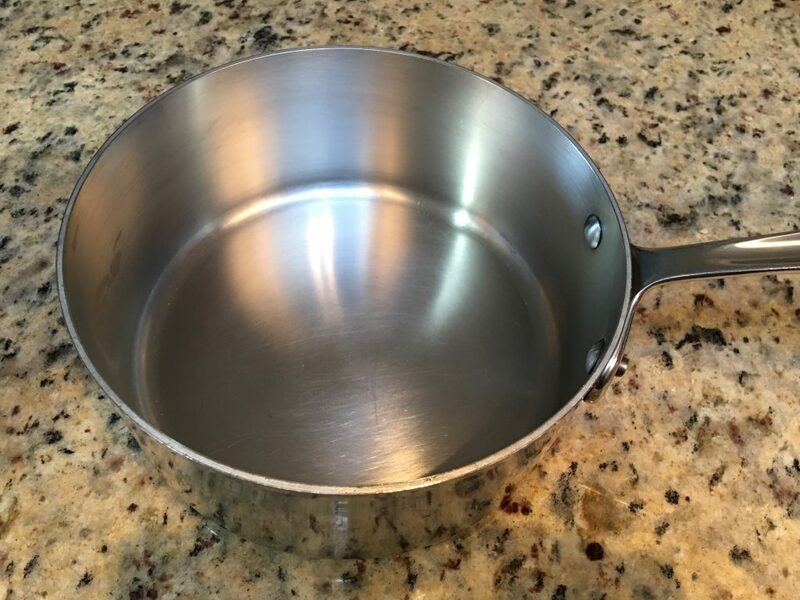 It does dull the inside, but if you cook with metal utensils, or have had your sauce pan for any appreciable time, the inside is already fairly dull. 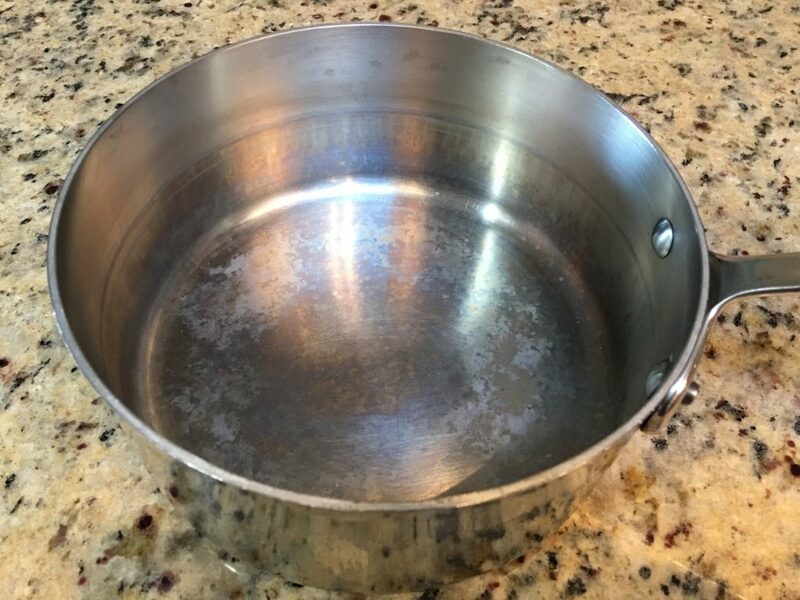 This new trick involves using vinegar (they say apple cider vinegar but I’m sure white vinegar or any other type would do well) and a scrunched up piece of aluminum. We tried it with white vinegar. 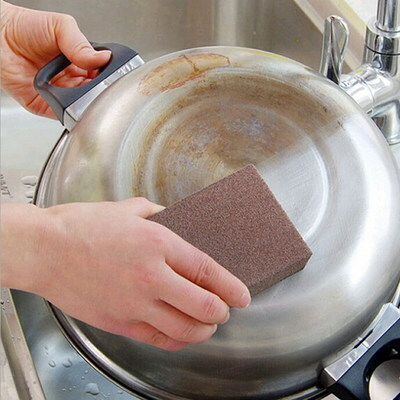 The first thing to notice is that as you scrub, a black residue is left on the bottom of the pan. That makes me think there is some kind of chemical reaction happening that involves the hard water residue (calcium or magnesium carbonate), the vinegar (acetic acid) and aluminum (just Al). It is known that acetic acid will dissolve calcium carbonate (and presumably other mineral carbonates), albeit, in my experience, slowly. 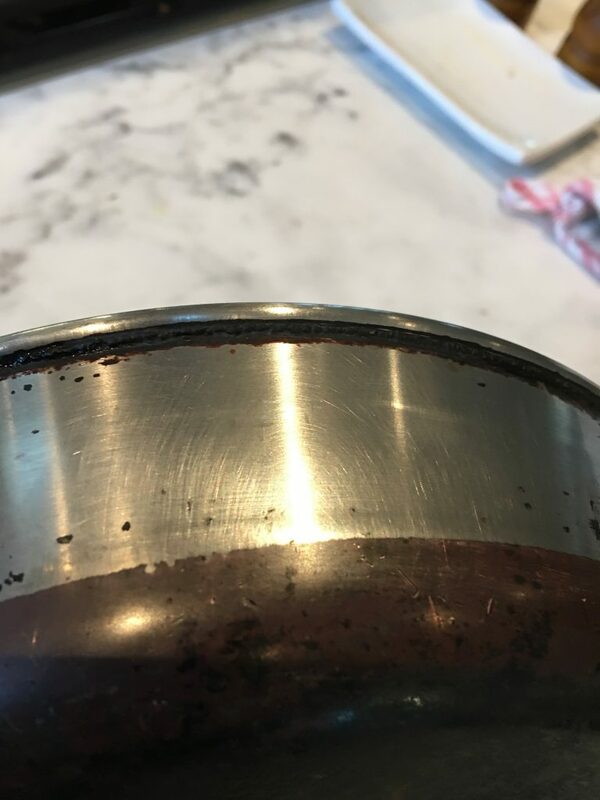 It is also my experience that scrubbing hard water stains with a soft scrubbing material (like a non-metal kitchen scrubbing sponge) will hasten the dissolving of the hard water stains (abrasion and agitation). 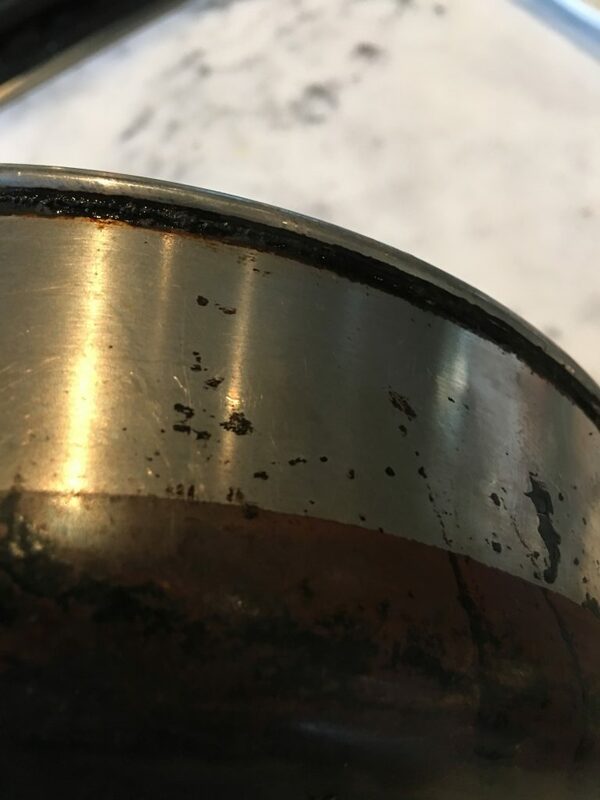 Is the aluminum just acting as an abrasive surface, or is it doing more to chemically remove the hard water? In any event, the trick seems to work quite well. Given the softness of aluminum, I can only imagine that it is less abrasive a method than the Scotch-Brite scrubbing. Speaking of aluminum, here is an interesting side fact; if you’ve ever wondered why one side of aluminum foil is shiny while the other side is dull, the short explanation is that, aluminum goes through rollers to make it progressively thinner and thinner, while stretching it out, to get it from a thick ingot, to being thin enough for aluminum foil. On the last step, two sheets of foil go through the same set of rollers. Where each sheet comes in contact with the roller becomes the shiny side (it is being pressed on by a very hard steel surface) while the side where the two pieces of aluminum touch each other becomes the duller side. Here is a longer explanation. You might also ask if the shiny side or the dull side is better for keeping in the heat when you cover a dish with aluminum foil. The answer is, it doesn’t matter. 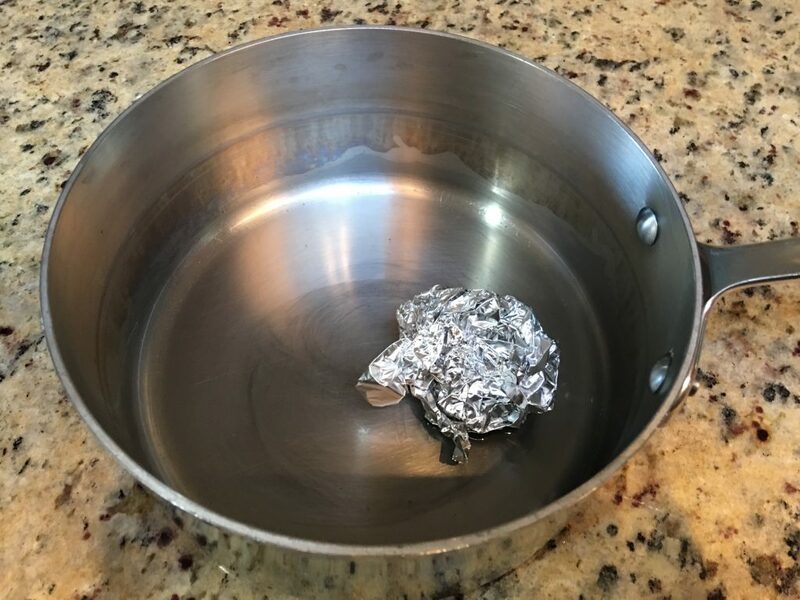 My daughter just did a science experiment where she created a device to measure the reflectivity of various materials, one of them being aluminum foil. The shiny and dull sides had virtually identical reflectivity, and reflecting the infra-red energy back into the dish that is covered is what helps keep it warm. 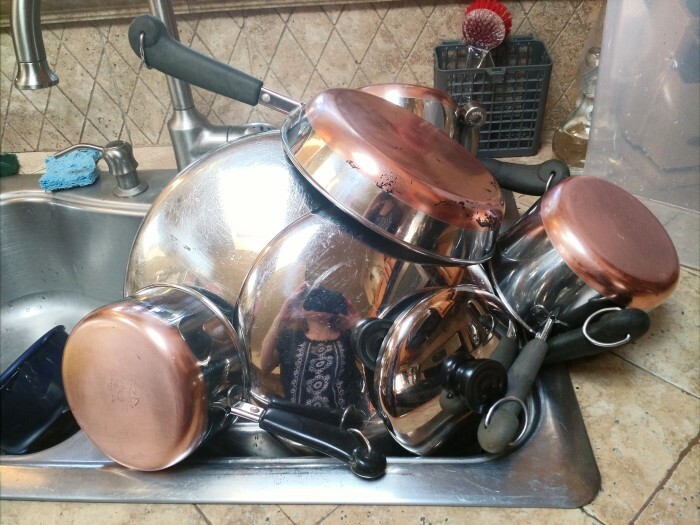 I was wondering if there is a way to cure my frying pans. The food.I cook seems to stick too easy no matter if I use oil or butter in the pan. We can think of a few things that might be happening. If you have ever used steel wool, that can leave little bits of itself stuck to the stainless steel and promote food sticking and rust. Cleaning as outlined below will likely help with this. If you have hard water, an invisible layer of hard water deposits can definitely cause food to stick. Give it a good soak in 50% vinegar and water and then scrub the inside thoroughly with a green Scotch Brite pad. You can also try using Bar Keepers Friend to polish the inside and try to get food to stick less. 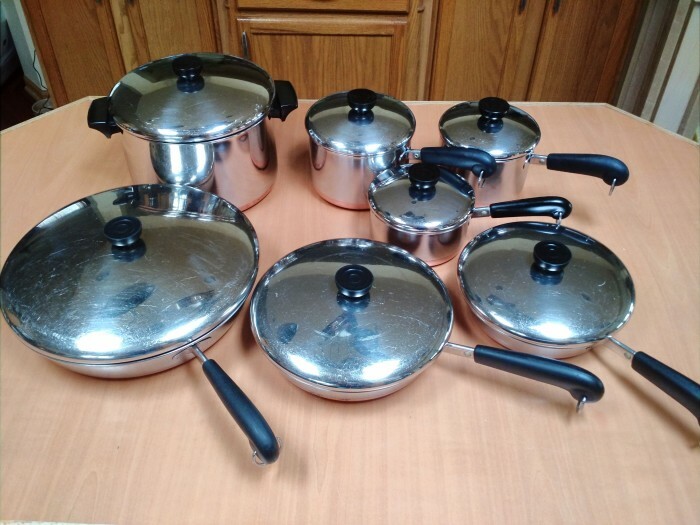 Other than that, we just recently wrote a blog post on seasoning stainless steel. We haven’t had the chance to try it yet, but are really curious if anyone has success with this.